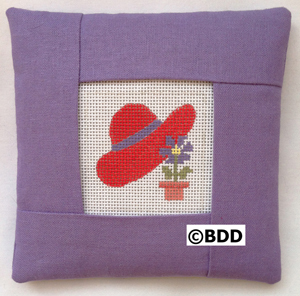 The lavender sachet is completed and filled with fragrant lavender – comes with stitchguide. 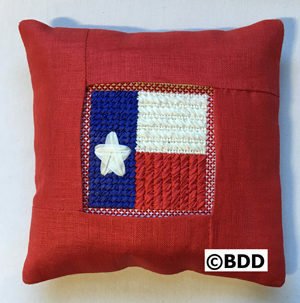 I stitched with red, white, blue 4mm River Silks ribbon with red floss for the edge. 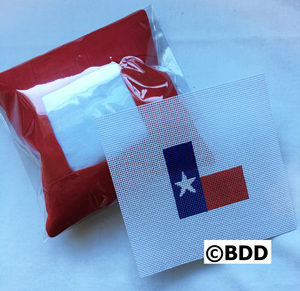 Ribbons not included in kit. 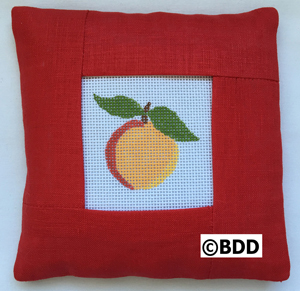 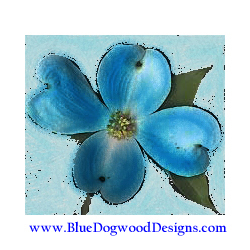 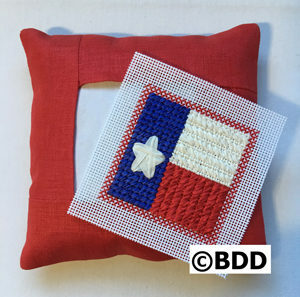 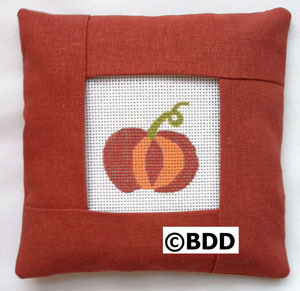 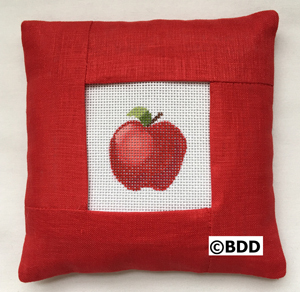 It is self-finishing, stitch the design on 18 count canvas, trim and slip into the window of the sachet.